Inkin' It Up With Kendra! : Our Friendship is Tweet! Gorgeous card! I love the coloring! 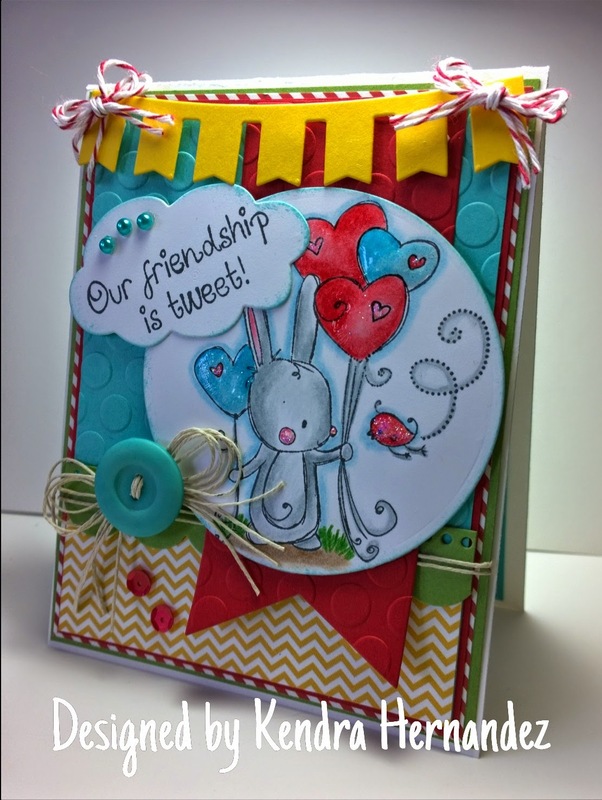 Good luck in the Kraftin' Kimmie Stamps Guest Spot challenge. Don't Forget...Kraftin' Kimmie Stamps has a new challenge every Wednesday and Saturday...with awesome stamp giveaways and gift cards!